Dr. Vivien Brown is a family physician in Toronto, Canada, a well-known national and international speaker and author of A Woman’s Guide to Healthy Aging – Seven essential ways to keep you vital, happy and strong. 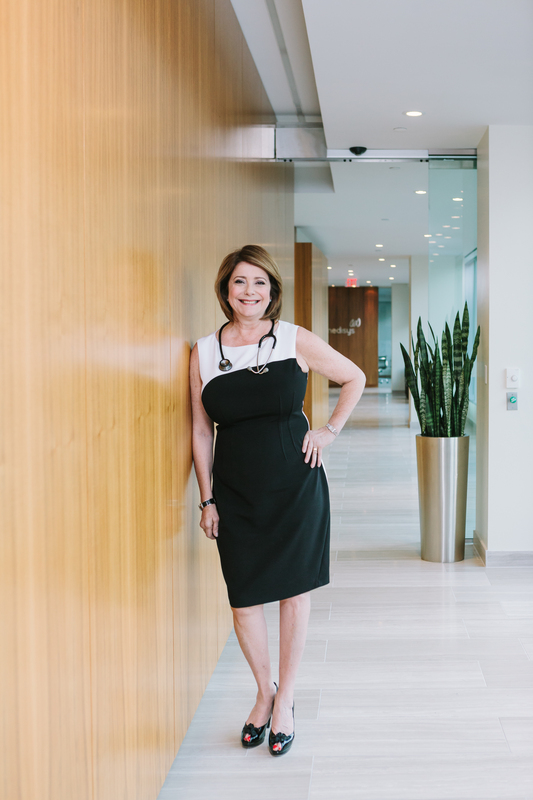 She is Vice-President of Medical Affairs, Medisys Health Group, focusing on advancing and promoting preventative healthcare. Dr. Brown is active in numerous organizations including, past President of the Federation of Medical Women of Canada, Former Chair of the Consumer Education Committee for the North American Menopause Society, board member of the Women’s Brain Health Initiative, and Health Choices First, as well as numerous provincial and federal advisory bodies. Dr. Brown’s speaking engagements focus on reducing cancer risks and prevention, adult immunization and vaccine-preventable diseases, stress in the workplace and stress management, health promotion and healthy aging, osteoporosis prevention, menopause and healthy hormonal alternatives, and women and health. 2012 Physician of the Year (Toronto Region) Ontario College of Family Physicians. 2011, Physician of the Year by KMH, an international diagnostic facility. 2009, Recipient of the prestigious Enid Johnson MacLeod Award from the Federation of Medical Women of Canada for teaching in women’s health. Past President of the Federation of Medical Women of Canada, linking female physicians, students, and residents throughout the country and promoting a national conversation about health-related issues. Vice President of Medical Affairs for Medisys Health Group promoting preventative healthcare. Assistant Clinical Professor-Faculty of Health Sciences, McMaster University Department of Family Medicine. Assistant Professor, Department of Family and Community Medicine. The University of Toronto. Hi there. Thanks for your interest. So glad you found the blog helpful. Your suggestions on topics are very welcome, just leave them in the comment section and I will incorporate them at the first opportunities. So keep checking back. http://www.nbcnews.com/id/21134540/vp/50582822#50582822 which is a fascinating one and a future I, for one, am looking forward to. I hope that Medisys will take up the challenge of introducing this technology to its patients. Thanks Jacqui. All good information. 1.the multi-tasking that women do-as women we are almost expected to be “super women” and this causes the need for multi tasking constantly and consistently. We already know that this is harmful to memory…could there be a link? Women are far more likely to be able to multi task as far as I have seen through research and life experience. 2.Stressful/traumatic life events and stress overall throughout life. I watch my Grandmother go through the final stages of dementia; she didn’t have a good doctor and they really neglected her condition; but unlike the other women in my family who have been fine up to her generation…she is the first to suffer from this disease. I can’t help but realize that she was in the war, and lead a very tumultuous life…could stress be a huge contributing factor? Can it with our hormones leave us more susceptible to the loss of our mental faculties? Women tend to be much more emotionally based and I can’t help think that may hurt us more than help us. Also, I have noticed a commonality in the disease where people whom are most afraid of death and growing older are amongst a large group of the patients.